Those with missing teeth or whose oral health hinders them from talking or chewing are likely considering dentures. While false teeth can dramatically improve one's quality of life, they are a major transition. The guide below explores some aspects you may be wondering about. Your dentist may recommend partial or full dentures. The first attach to your remaining teeth or dental implants, while the latter sits on the gums, taking the place of a complete set of teeth. It usually takes about four visits, or three to four weeks, to complete the fabrication process. 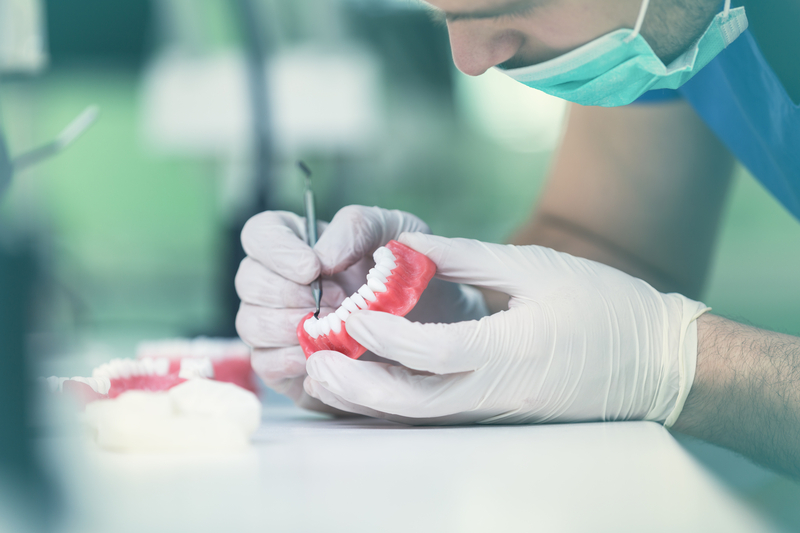 After taking mouth measurements to create a jaw model, custom-made dentures are produced. If your specific health concerns need addressing sooner than your teeth can be made, you may receive temporary versions in the meantime. Costs vary in light of your dental health needs. For example, complete dentures generally cost considerably more than those for top or bottom teeth only. Materials and techniques used by the dentist also affect costs, as does the community you live in since higher-end areas typically pay more for services of all kinds. Therefore, ask your provider for an estimate. How many years do they last? The prosthetics typically last five to seven years with the right care. This includes removing them nightly and cleaning them with denture-specific solutions to eliminate bacteria and staining food particles. With the exception of non-foods such as ice cubes, there are few restrictions regarding what you can eat. They are made to replace natural teeth and function as such; however, hard or brittle food is discouraged, as it causes them to wear down sooner. If you believe dentures would help you, make an appointment with Stadler Dental Care in Columbus, NE. Dr. Andrew Stadler and his friendly team provide a comprehensive range of services in a family-friendly office where health and comfort always come first. Call (402) 564-4093 today to schedule an appointment or visit the website to learn more about their offerings. You can also follow the dentist on Twitter for additional dental care tips.